Sri Lanka witness to periodic elections with unerring regularity missed that opportunity for three years. On that score there was no loss in quality of governance. The polity however lost its ability to assess the force of the sub currents and the magnitude of the iceberg developing underneath. With elections now behind us, it is not the statistical exactitudes that press for relevance. In what direction is the polity moving and at what point will it stop in two years are the critical questions. What did January and August 2015 bring forth? Two national parties in the same harness. A third major one in search of a safe arbour slithering along, skidding the wheels of government in negative mode. Two minority entities exulting in having tilted the balance at the hustings. An ethnic formation of Tamils, eternally averse to handling power, yet in dalliance with the government though leading the opposition as well. 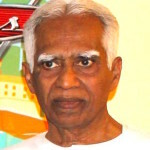 Through policy and programme Tamils made no forward movement. The religious formation of Muslims noted for its pragmatic approaches secured some success on top of its 62 years of progress. Hill country Tamils with their new leadership grew in strength. The minor groupings lumbered along. No nation could have crafted a more amorphous arrangement for nation building. An amalgam of dissatisfaction was waiting for expression. In the years preceding 2015, the passion for Life and Liberty were exceedingly stronger than the fondness for Pursuit of Happiness. Elections called for then, had the fullest resonance with the polity. Expectations grew high and fulfilment was anticipated. Some sacred rights were restored. Right to life was secured and the spectre of fear had been dissipated. liberty was ensured restoring multiple rights to the citizens. Among them freedom of expression being the most significant. By any measure undreamt of achievements. A tribute to Maithri-Ranil stewardship. Yet impediments to happiness were many and little mark was made on the constituents of happiness. Public debt which was at ever growing levels and now at unpayable Rs trillions, took away the sheen from much professed good governance. Benefits of monetary infusions were more than negated by inflation. Economic growth did not translate into income distribution through new employment avenues. Education failed to have the budgetary support that government’s professions emphasized. Neither did health get the finances needed. Tamils had their hopes on military withdrawal dashed; land release never done; devolution not even attempted and expectations of economic revival ever frustrated. Fears of the Muslims were not assuaged and a recrudescence of violence against them continued to be glossed over. Hill country Tamils benefitted a little because the previous coterie was bypassed in favour of the new leadership. The innervating failure at crafting a constitution displayed supreme ineptitude. Three years in the making, it has the appearance of an unformed pudding. Dissatisfaction everywhere, hope nowhere is the polity’s summation. Amidst this tangle prevailed a mood of disaffection and protest. The worst confluence to test the waters but yet mandated it came in February. All segments of the polity, were straining at the leash to register their protest. They did so explicitly with verve and venom. Election results conveyed the mindset and confirmed their path to be in 2020 if not earlier. The election, Local Government in name, displayed all the attributes of a National Referendum. It is idle to quibble on specious legalistics. The amplitude of the vote, embracing the total polity eligible to vote was as for general election or a referendum. If to the voters the status of the local body was of little concern, then what was their source of concern? The force that had gathered the greatest kinetic energy against the Rajapaksa regime, was the perception true or false, that it was (a) instrumental in corrupt practices of gigantic proportions and (b) party or privy to several high-profile killings that were alleged. What should have followed the barrage of charges and denials? Inquiry, arrest, indictment and the whole judicial process resulting in conviction or acquittal. With justice administered judiciously and with transparency, the current government will have neither blot nor blemish. Judicial failure a most sensitive shortcoming for any government and intelligible even to the laity, has become a standing slur on those in governance. What the country knows is that, sins of omission are more grievous than those of commission. All this on top of misdemeanours in the legislature and tardiness of the executive. They manifested in financial mismanagement, bringing the government into disrepute. Hence the unreserved rejection of the government and those responsible for the unpardonable impase. In governance, a crucial partner to the social contract is the voting citizenry. To them declarations by members of parliament – now in governance – against those in power prior to 2015, were meant to be acted upon. The pratings of accusers that action will be taken were believed and default which has become the norm was construed as cheating, even premeditated. If no indictment is served for three years, was there a case at all is what the polity would ask. There is therefore disbelief that the earlier accusations were true. The leader concerned has now reason to believe and to speak only about his sense of injured innocence. This was a very potent determinant for MR’s sweeping victory and Maithri – RW’s lamentable debacle. In an uncertain future one can only speculate. Parliament has ceased to be a forum of instructive debate or a venue for respectable discourse. For long it has been a platform to stage rowdy scenes whenever members are not asleep. Similar spectacles were on display in the House of Commons, at the time Oliver Cromwell marched in with his men. In Sri Lanka Members will be inclined to march out, stream into the streets and fill junctions to enact live shows to disparage the government. RESIGN will be the watchword gathering momentum from now on. All the while a momentous change will get into incubation. Over four years ago when this writer ventured to write on the Indian elections and the prospects for Modi it became clear from the study that a vast transformation on the electoral scene was emerging. In the original phase the nation and the states were dominated for long by the Congress. Then came a phase when Congress captured Lok Sabha while regional parties settled down in the states. Then came a period for BJP and the Congress to wield power alternately at the centre. Since Modi’s ascent, BJP is venturing to spread its tentacles to the states as well. This is a healthy developing phenomenon and very soon two major parties holding power alternately at the centre and in the states will be the evolving pattern. In Sri Lanka a similar picture has made its beginnings but a difference is inescapable. India a large nation has to have self-governing states. Sri Lanka has Provinces without self-sustenance capability. The centre with money power wields the whip with deadly effect. How many local institutions Municipal, Urban and Pradeshya are aware that without central sustenance, they don’t have a leg to stand on? With that knowledge and without perks to lure would they have wasted their breath? The recent elections were an exercise only in getting our bearings right on what next. Sri Lanka needs a good leader and leadership ..
What about making AKD as A PM..
You will see a lot of changes ..
A lot of thieves will run away from the country ..
A democracy and rule of law ..will be established ..
Ranil will be hand the bar. And so many thrives too..
SL need decent/civilised humans who truely love, respect and care each others.. In these environments, good leaders automatically appear through the societies..
Our core and base values (horizontal value set) are corrupted and getting worse by the day… A saviour coming from Top and save us all is just a myth we all hoped in the last 70 years… It would never happen..
Now we have to find a bottom-up approach.. through proper education , improving our ethical/moral core values.. … list goes on..
Everyone knows this, but how would you make it. Leaders that have talents were killed out by the long held war. Some leaders like AKD have no acceptable by masses in the country. Some leaders like MR that have been supported by the very same masses, not considering the gravity of the crimes and abuses the man s adminstration deliberately made to the very same nation. Media institutions have been under former criminals, so they would send the message across round the clock not thinking twice. They even paint the good governance principles as no value. The statements of FILTHY contents go viral in rascals dominated society. The educated leaders or representatives are not welcome by rascals dominated lanken society. That was not a referendum but some thoughts can be picked by 10th polls and explorate how the cross section of the society tick. All in all, it will take few more years, if the country to solve the leadership related problems. 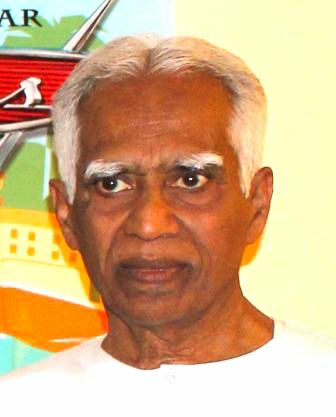 Mr. Sivathasan: YOu have got out of Tribalist politics and has written an article that everybody can comment on. Public has identified both Groups as HORU #1 and HORU #2. So, do not underestimate the Public. They do not have a choice. It is the recycling of same old and same old. they investigate and buikd fuiles but they do not prosecute and keep files for black mailing. I heard Rajapakse Closets have about Rs one Trillion. Ranil came to find and recover that mioney. Instead he planned his own. Because his goal is to become himself the president. I heard even India has given clues. but Ranil did not want to follow those. YOur story is correct. different groups may ask diffrent rights. right now they are visionaries because women in the middle east and boys in south Korea are sending money. When the middle east begins austerity measures things will change. I heard already there so many problems there cut down the flow. That is why these peoole borrow as there is no tomorrow. So, both the local govts and provincial govts will not be sustainable at all. Because, the same public can not pay for two groups of politicians. Remember we must have the diyawanna oya. diyswann aoya is also a burdon. WE do not need a president and PM. See the problems. Ministers once appointed they are disturbance to bureaucrats. Because of that we need hte american system. that is the president should have educated professional as secretaries. A level of politicians below that should check the political repercussions of those plans. WE do not need 225 politicians there. NAtional list MPs are source of corruption and wastage ther are so many MPs who di dnot pass O/L and they do not whwne to say when to NO and simply they do not understand what they are doing. Think Ranil is thinking money coming the middle east is eternal. when that flow goes empty as we dismantle factories who will help. Why do we need so many free trade agreements when the country is only an importing country. It is all a MEss. The people had an image/focused on the previous UNP development that is the economic development undertaken especially the 200 garments factories program, the 1.5 million housing program. enable to look after themselves. even the factories not in operation as such stimulation was not seen on the past 3 years. Elections in Srilanka ares held to elect appropriate people to govern the Country and ensure the people lead a contended life. But is it happening? Although different parties contest to be elected to power, the members of the party so elected are invariably keen to grab power for themselves to regain the money spent on elections and reap a more than adequate profits to fight the next elections. In between elections the MP’s plan and plot as to how he can get popular initially among his kith and kin and thereafter maintain the popularity among his waning supporters for not keeping his promise, essentially for personal benefits. No one appear to be bothered about the country as a whole. The poor becomes poorer and the rich becomes richer. Of course there are exception where the poor has become rich by dubious means by associating themselves with corrupt politicians in general and ministers in particular. Under this situation will Srilankan ever learn to weed out the good from the bad and the bad from the ugly. ?